Evergreen Insurance services are running a fabulous competition in which you can help your favourite wildlife charity win £1000. 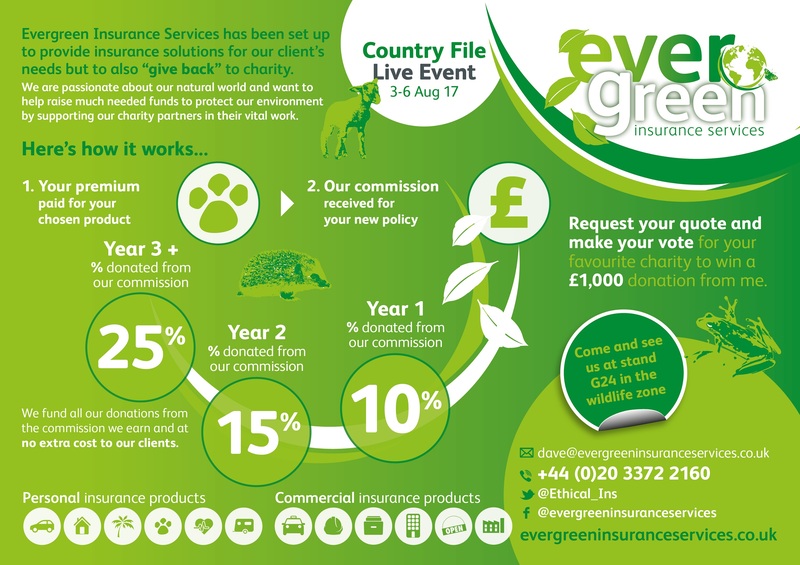 Visit Evergreen Insurance Services online or at The CountryFile show (3rd-6th August) and they will be delighted to provide you with a quote for your insurance needs as well as enabling you to nominate your charity for the prize. The charity with the most votes at the end of the Country File live event on 6th August will be the beneficiary of a £1,000 donation. If you go ahead with a policy from Evergreen, whether it is for your home, car, travel, life , pet or business they will donate back to support nature, wildlife, animal and conservation charities.